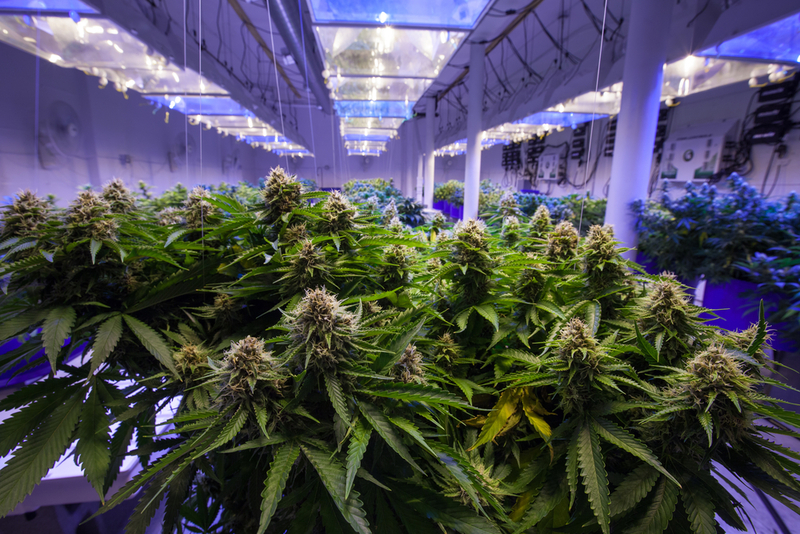 The North American cannabis industry took in approximately $9 billion in sales in 2017, according to Tom Adams, managing director of BDS Analytics. This figure—calculated before California opened its huge retail market—is equivalent to the entire snack bar industry. Looking ahead, analysts predict the North American market to grow to $47.3 billion within a decade. The takeaway here is pretty clear. Private investors, businesses and select state legislatures are all-in on legal cannabis. But where does philanthropy fit in? It's an important question to ask after UC San Diego received $4.7 million for medical cannabis research from the Ray and Tye Noorda Foundation. The funding will support the "first-of-its-kind, multi-disciplinary research on autism spectrum disorders" at the Center for Medicinal Cannabis Research at UC San Diego School of Medicine (UCSD). Established in 2000, the center's first study looked at the potential benefits of cannabis for easing certain types of chronic pain, as well as severe muscle spasticity. Ongoing studies are examining cannabinoids in pain management as well as their effects on bipolar disorder. The Noorda Foundation grant was given in partnership with and based on recommendations from the La Jolla, California-based Wholistic Research and Education Foundation. The Lindon, Utah-based Ray and Tye Noorda Foundation is named after Lewena "Tye" Noorda, a Utah philanthropist and arts patron, and her husband Ray, who was CEO of Novell, a Provo-based software and services company, from 1983 to 1995. When Lewena passed away in 2014 at the age of 90, Doug Gale, executive director of the Scenic View Academy in Provo said, "They were very private with the recognition for what they were doing. They were out there giving away money. They didn't need the recognition." Gale's statement checks out. The foundation has a very spartan online presence, and there is no extensive, publicly available information about its giving. However, we do know the Noordas were committed to health-related causes and the arts. The couple donated large sums to a theater at Utah Valley University and the Scenic View Academy. After Ray Noorda died, Lewen and her four sons donated $30 million to the Ray and Tye Noorda Oral Health Sciences Building at the University of Utah. And in late 2017, the foundation announced a $50 million commitment for a new college of osteopathic medicine at Wasatch Educational in Provo. Modern philanthropy is, of course, flush with donors allocating millions to health-related causes. It also has its fair share of donors drawn to some pretty experimental ideas. Yet very few are supporting cannabis-related research. A search on the word "cannabis" on Philanthropy News Digest yields a solitary $3 million grant from Australian philanthropists Barry and Joy Lambert to support the Center for Medical Cannabis Education and Research at Philadelphia's Institute of Emerging Health Professions at Thomas Jefferson University back in 2016. What explains donors' reluctance to embrace a research field that holds such tremendous potential? After all, wealthy donors—especially George Soros and Peter Lewis—played a decisive role in legalizing medical marijuana in many states. The most obvious culprit is the fact that the federal government still classifies marijuana (cannabis) as a Schedule I substance under the Controlled Substances Act. Nor has legal cannabis reached a kind of critical mass at the state level. While 30 states allow medical marijuana, only nine permit recreational use. That being said, in March, Congress added a rider to a spending bill that protected medical marijuana patients and businesses that follow state laws from U.S. Attorney General Jeff Sessions and federal drug agents. A month later, Sessions told a Senate panel that he had acknowledged research indicating lower overdose deaths from opioids in states that allow cannabis in some form and that it is "perfectly appropriate" to study cannabis. The fact that the Justice Department, according to some analysts, is actually shoring up the legal cannabis industry could help to change the dynamic across the donor community quickly. Developments in Colorado provide an intriguing case study. After it legalized marijuana in 2014, public funding began to flow. According to the state’s Department of Public Health and Environment, at least $9 million has been allocated to study the effects of medical marijuana on conditions like inflammatory bowel disease, Parkinson’s disease, PTSD and chronic pain. And just this week, Southern University and A&M College in Louisiana, announced $7 million in research grants from Advanced Biomedics, a company specializing in pharmaceutical-grade marijuana products. The funding in these cases came from public and private sources, and other such research funding is in the works elsewhere. These grants, combined with the Justice Department's recent moves, can go a long way to allay private grantmakers' misgivings about cannabis-related giving, especially in the 30 states where medical marijuana is legal. All of which brings me back to the Ray and Tye Noorda Foundation's gift, made in a state that legalized medical marijuana over two decades ago and recreational marijuana earlier this year. The money will fund research to explore if cannabidiol, a non-psychoactive compound found in cannabis, can "hold clues for developing effective therapies" to treat autism. Indeed, autism, which affects one in 68 children in the U.S., is an area in which donors have shown a willingness to fund experimental and outside-the-box research. The Simons Foundation Autism Research Initiative, launched in 2003, has a big footprint here, awarding grants each year to support innovative autism research in the U.S. and abroad. And last year, MIT alumni Hock Tan and Lisa Yang donated $20 million to MIT's McGovern Institute for Brain Research to establish a new center dedicated to autism spectrum disorder research. Commenting on the latter gift, McGovern Institute's director, Robert Desimone, noted that attracting funding for what could be considered standard research is easier than for studies that involve new and sometimes untested hypotheses, often because such work carries a higher risk of failure. This reality did not deter the Ray and Tye Noorda Foundation. Its $4.7 million give, while not excessively huge, is "low-risk, high-reward" in the truest sense because it explores terrain where most donors fear to tread. But again, that may change. If Jeff Sessions thinks it's "perfectly appropriate" to study cannabis, why wouldn't donors, especially if experimental research generates promising results? While cannabis grants are unlikely to be the next big gold rush for universities, this a promising new area for funding. And the schools that move to put themselves ahead of the curve, becoming leaders in this research space, could reap major rewards. One last and related point pertaining to donors' potential embrace of cannabis in the indeterminate future. In late May, the New York Times published a piece laying out what the whole world already knew: Purdue Pharma was "aware early on that OxyContin was being crushed and snorted for its powerful narcotic, but continued to promote it as less addictive." Donor backlash against Purdue Pharma and the Sackler family has been well-documented, and while returning toxic gifts can be a no-brainer, it doesn't change the facts on the ground. With doctors now withholding opioid prescriptions from legitimately suffering patients, donors may turn their attention to research universities studying less addictive and destructive pain management remedies like medical marijuana. One such grantmaking body that has shown particular interest in this area is none other than the federal government. Last year, the National Institutes of Health awarded a five-year, $3.8 million grant to the Albert Einstein College of Medicine and Montefiore Health System to research cannabis’ effects on opioid addiction.